Your game board is littered with multi-colored pegs that you can shoot off with your cannon, armed with a number of balls you are provided with. There is a basket-like item that slides along the bottom of the game board which can catch the ball you‘ve shot and bring it back to your ammo. Obstacles – like blue pegs and shot-blocks – also litter the game board which can serve as a challenge for the game, or something you can leverage to gain additional skill points. 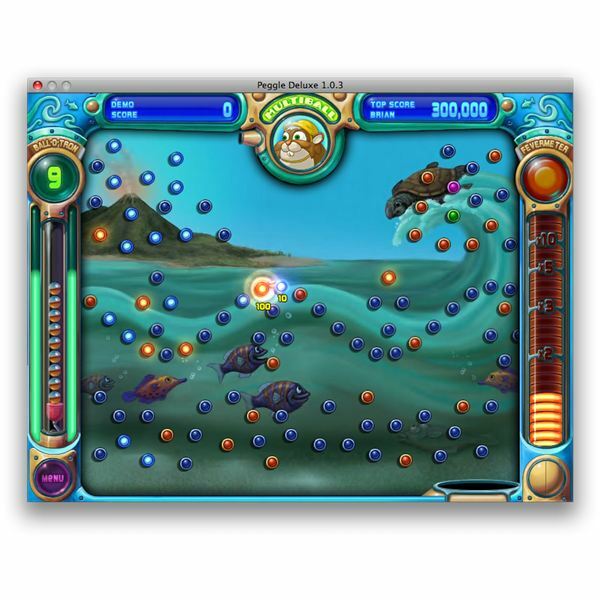 Your main goal in Peggle is to eliminate all the existing orange pegs in the board until all of them are cleared. You lose when you run out of balls to shoot while there are orange pegs still existing. You are guided by magical creatures in each stage, each with their own corresponding special power you can harness from hitting green colored pegs from the game board. These power ups provide you additional help in clearing the board, and power ups differ from one creature to another – some provide trajectory guides, some make you shoot fireballs, and many other surprisingly useful and whacky power ups that keeps the game fresh as you move from one stage to another. The game has four kinds of pegs. Blue Pegs give you additional game points but can also pose as an obstruction from letting you directly hit orange pegs. You can also use them as leverage so you can ricochet the balls that you shoot to get additional skill points. Orange Pegs should be your main target in order to move on to the next stage. Hitting a series of orange pegs in succession will award you with skill points helping you get additional balls for ammunition. Purple Pegs appear at random, and assumes any arbitrary blue peg’s position after each turn. Hitting these kinds of pegs give you bonus points and increases your chances to banking the highest scores possible. Green Pegs give you power ups, and power ups differ from the current stage you’re in. These power up increases chain points you acquire for each shot and gives you in-game add-ons that can increase your chances of hitting more pegs in each turn. Hitting a number of pegs in a single shot can earn you an additional ball for shooting. However, there are other possible ways to get combo-points to increase your chances in surviving the game. Long shots – which can give skill points – are possible when you shot one peg and it bounces off to a far opposite end and lands onto an orange peg. Hitting a lot of pegs in one swoop can also give you more points. 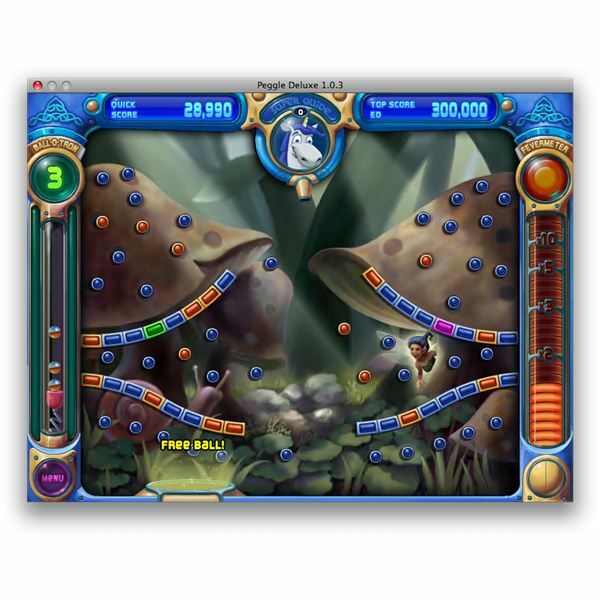 Peggle is a game adorned with many little rewarding cues that sum up its gameplay: exciting and fun. The game’s tone never wanes as you progress from one stage to another. In fact, you might want to keep playing the game just to create more combos or unlock power ups waiting for you in later stages. Suffice to say: this game is very addictive and quite the past time. The glossy graphics and smooth animation of the game is a testament of PopCap’s dedication in continuously delivering unique and great games to play. Peggle is a rewarding game to play. Hitting the last orange peg is accompanied by a drum roll, and the suspense builds up in slow-motion as the camera zooms-in. Fanfare ensues upon contact, marking your success with a celebratory operatic soundtrack, bonus points, fireworks, and rainbows. The game is so good that Peggle Deluxe paved the way for Peggle Nights, its sequel: retaining the game’s wonderful formula but adding more gameplay to those who’ve already finished playing the first installment. 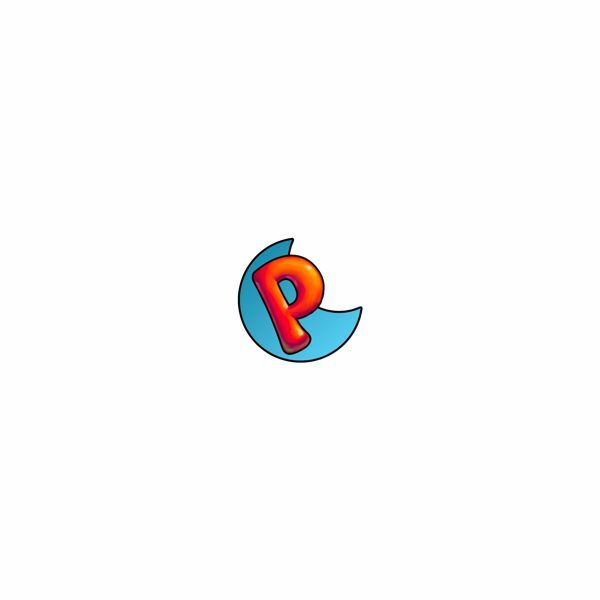 Furthermore, PopCap has expanded the availability of Peggle and has created a mobile port for the iPhone and iPod Touch which is available from the iTunes App Store so you can carry around and take Peggle with you where ever you go. 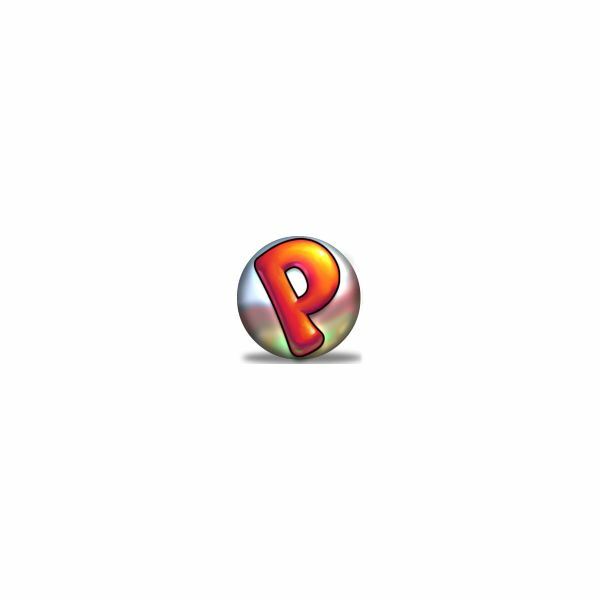 You can download a trial or purchase Peggle and/or Peggle Nights from Popcap.com. 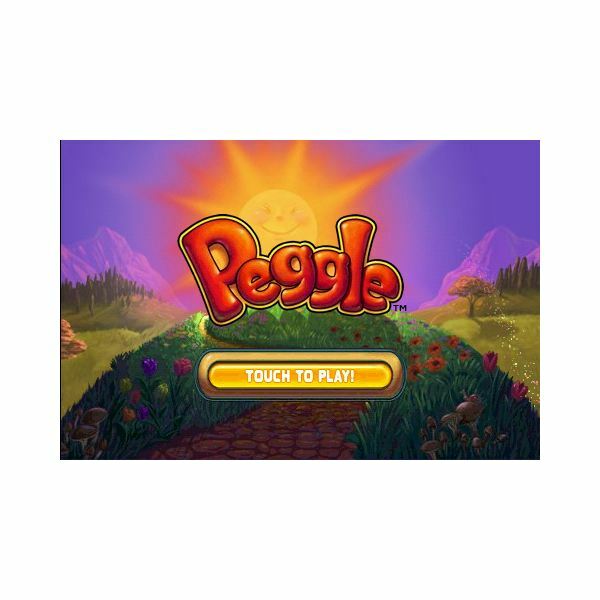 Peggle is also available as an iPhone / iPod Touch app and can be downloaded from the iTunes App Store. 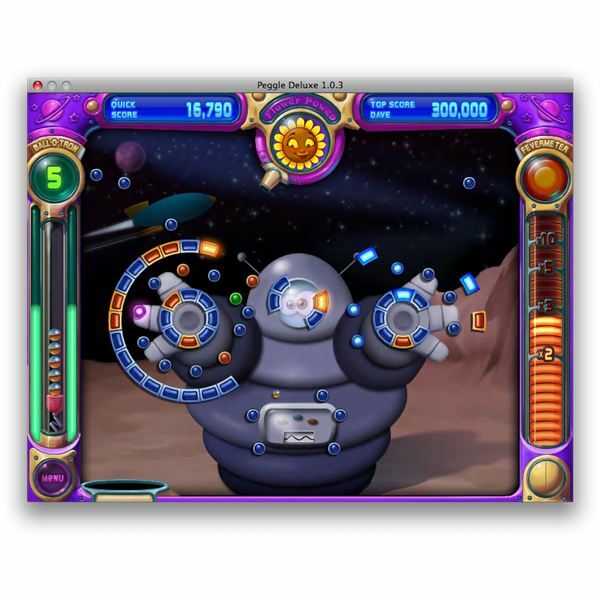 Peggle is a great game you’ll sure find entertaining to pass the time with or to feed your casual gaming needs.